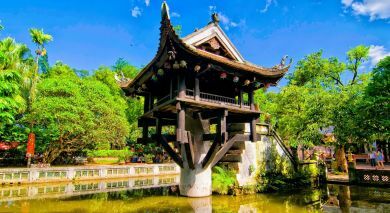 Named after the river that flows through it, My Tho is the capital city of the Tien Gang province in Southern Vietnam. My Tho’s proximity to Ho Chi Minh City, makes it the traditional gateway to the Mekong delta. The slow-paced riverside town of My Tho is an important commercial hub as the delta’s major fish markets are located here. Explore the Mekong Delta on this delightful cruise between Saigon and Phnom Penh. 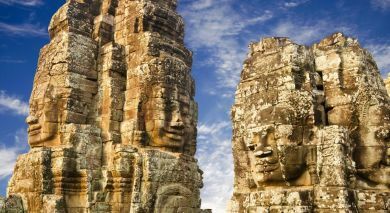 Experience life on lower Mekong before the mighty river joins the ocean, aboard the elegant cruise liner. 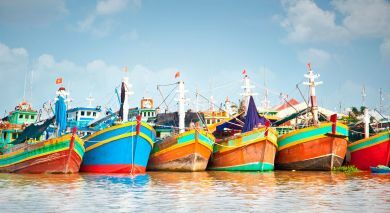 Explore the Mekong Delta on this delightful cruise between Saigon and Phnom Penh. 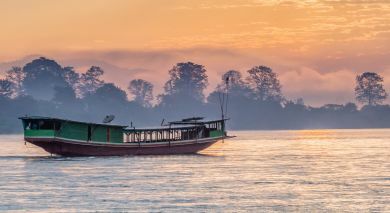 Experience life on lower Mekong before the mighty river joins the ocean, aboard the elegant ship. The motor vessel Jayavarman, provides a luxurious stay on your voyage of discovery while in Vietnam and Cambodia. 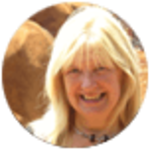 Take a 7N ‘Upstream’ cruise on the RV Jayavarman from Vietnam’s Saigon to Cambodia’s Siem Reap via My Tho-Cai be-Chau Doc-Phnom Penh-Kampong Cham-Wat Hanchey-Kampong Chhnang-Tonle Sap on the Mekong River Delta. Visit Tonle Sap Lake; Kampong Chhnang; see Kampong Phluk stilt village; board small rowing boats with local children to tour this flooded forest; enjoy biking; see Clay Pot Port; explore Angkor’s ruins at Kampong Thom; visit Kampong Cham; Wat Nokor; Cheung Kok Ecotourism Village; Wat Phnom; the Genocide museum; tour Phnom Penh, Cambodia’s capital with French colonial charm; see the Royal Palace, Silver Pagoda; enjoy traditional Apsara temple dances; visit floating villages, catfish farms; see Bassa fish fed; see Chau Doc with French colonial architecture; Sam Mountain, engulfed by Tay An Pagoda, Thoai Ngoc Hau Temple, Lady Chua Xu Pagoda; visit Cai Be’s floating market on Cai Be Princess, a traditional sampan. Disembark in My Tho in Vietnam; transfer to Saigon.